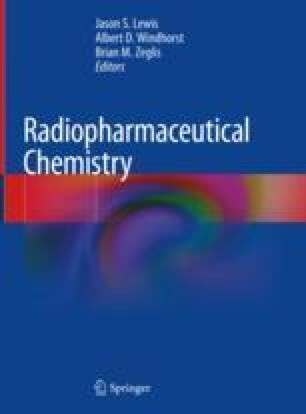 This chapter presents strategies and practical guidance for the development and early clinical translation of radiopharmaceuticals for oncology in the United States, particularly for non-commercial, academic sponsors. Process planning, preclinical safety evaluation, product quality, clinical design, regulatory mechanisms, and the investigational new drug application are discussed. The principles presented apply to small molecule or biological molecular imaging probes, theranostic platforms, and radiotherapeutics and focus on first-in-human studies. It is hoped that this overview will help academic investigators navigate the regulatory system efficiently and safely. U.S. Food and Drug Administration. United States Code of Federal Regulations Title 21 – Food and Drugs, Chapter I – Department of Health and Human Services, Subchapter A – General, Part 58 – Good Laboratory Practice for Nonclinical Laboratory Studies. Available from: https://www.accessdata.fda.gov/scripts/cdrh/cfdocs/cfcfr/CFRSearch.cfm?CFRPart=58. Accessed 26 June 2018. U.S. Food and Drug Administration. United States Code of Federal Regulations Title 21 – Food and Drugs, Chapter I – Department of Health and Human Services, Subchapter C – Drugs: General, Part 210 – Current Good Manufacturing Practice in Manufacturing, Processing, Packing, or Holding of Drugs: General. Available from:https://www.accessdata.fda.gov/scripts/cdrh/cfdocs/cfcfr/CFRSearch.cfm?CFRPart=210. Accessed 26 June 2018. U.S. Food and Drug Administration. United States Code of Federal Regulations Title 21 – Food and Drugs, Chapter I – Department of Health and Human Services, Subchapter D – Drugs for Human Use, Part 312 – Investigational New Drug Application. Available from: https://www.accessdata.fda.gov/scripts/cdrh/cfdocs/cfcfr/CFRsearch.cfm?CFRPart=312. Accessed 18 Mar 2018. U.S. Food and Drug Administration. Guidance for Industry, Investigational New Drug Applications Prepared and Submitted by Sponsor Investigators.U.S. Department of Health and Human Services, Center for Drug Evaluation and Research (CDER), May 2015. Available from: https://www.fda.gov/downloads/Drugs/Guidances/UCM446695.pdf. Accessed 20 Mar2018. U.S. Food and Drug Administration. Guidance for Industry – Content and Format of Investigational New Drug Applications, (IND’s) for Phase 1 Studies for Drugs, Including Well-Characterized, Therapeutic, Biotechnology-derived Products. U.S. Department of Health and Human Services, Center for Drug Evaluation and Research (CDER) and Center for Biologics Evaluation and Research (CBER), Nov 1995. Available from: https://www.fda.gov/downloads/drugs/guidancecomplianceregulatoryinformation/guidances/ucm071597.pdf. Accessed 20 Mar 2018. U. S. Food and Drug Administration. Guidance for Industry, Investigators, and Reviewers – Exploratory IND Studies. U.S. Department of Health and Human Services, Center for Drug Evaluation and Research (CDER), Jan 2006. Available from: https://www.fda.gov/downloads/drugs/guidancecomplianceregulatoryinformation/guidances/ucm078933.pdf. Accessed 20 Mar 2018. U.S. Food and Drug Administration. Guidance for Industry, S9 Nonclinical Evaluation for Anticancer Pharmaceuticals. U.S. Department of Health and Human Services, Center for Drug Evaluation and Research (CDER) and Center for Biologics Evaluation and Research (CBER), March 2010. Available from: https://www.fda.gov/downloads/Drugs/Guidances/ucm085389.pdf. Accessed 27 June 2018. U.S. Food and Drug Administration. Draft Guidance for Industry, Clarification of Orphan Designation of Drugs and Biologics for Pediatric Subpopulations of Common Diseases, Dec 2017. U.S. Department of Health and Human Services, Office of Medical Products and Tobacco, Office of Orphan Products Development. https://www.fda.gov/downloads/RegulatoryInformation/Guidances/UCM589710.pdf. Accessed 21 Jun 2018. U.S. Food and Drug Administration. Guidance for Industry Expedited Programs for Serious Conditions – Drugs and Biologics, May 2014. U. S. Department of Health and Human Services, Center for Drug Evaluation and Research (CDER) and Center for Biologics Evaluation and Research (CBER). https://www.fda.gov/downloads/Drugs/Guidances/UCM358301.pdf. Accessed 21 Jun 2018. U.S. Food and Drug Administration. Guidance for Industry: CGMP for Phase I Investigational Drugs. U.S. Department of Health and Human Services, Center for Drug Evaluation and Research (CDER) and Center for Biologics Evaluation and Research (CBER), Office of Regulatory Affairs (ORA), July 2008. Available from: https://www.fda.gov/downloads/drugs/guidances/ucm070273.pdf. Accessed 20 Mar 2018. U.S. Food and Drug Administration. Guidance for Industry, Formal Meetings Between the FDA and the Sponsors or Applicants of PDUFA Products. U.S. Department of Health and Human Services, Center for Drug Evaluation and Research (CDER) and Center for Biologics Evaluation and Research (CBER), Dec 2017. Available from: https://www.fda.gov/downloads/Drugs/GuidanceComplianceRegulatoryInformation/Guidances/UCM590547.pdf. Accessed 20 Mar 2018. U.S. Food and Drug Administration. Guidance for Industry, Providing Regulatory Submissions in Electronic Format – Certain Human Pharmaceutical Product Applications and related Submissions Using the eCTD Specifications. U.S. Department of Health and Human Services, Center for Drug Evaluation and Research (CDER) and Center for Biologics Evaluation and Research (CBER), Apr 2017. Available from: https://www.fda.gov/downloads/drugs/guidancecomplianceregulatoryinformation/guidances/ucm333969.pdf. Accessed 20 Mar 2018.